Today was Day #4 of Chocolate and Berry Theme Week. 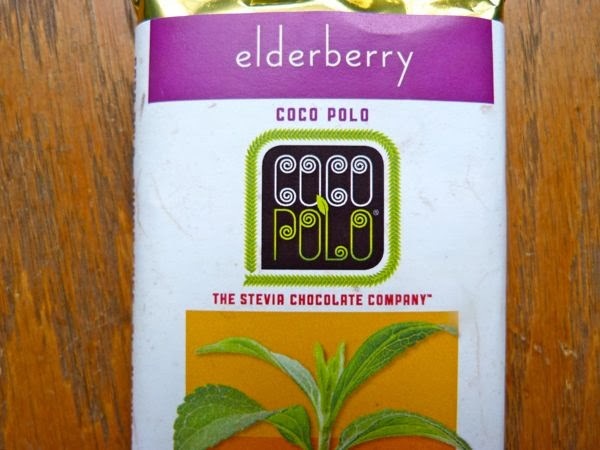 Yesterday I sampled the 39% cocoa milk chocolate version of today's 70% cocoa Elderberry bar from Coco Polo (Highland Park, NJ). 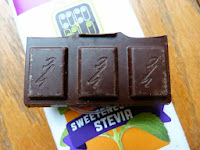 Today's darker version lacked some of the creamy texture and caramel notes of the milk chocolate version. 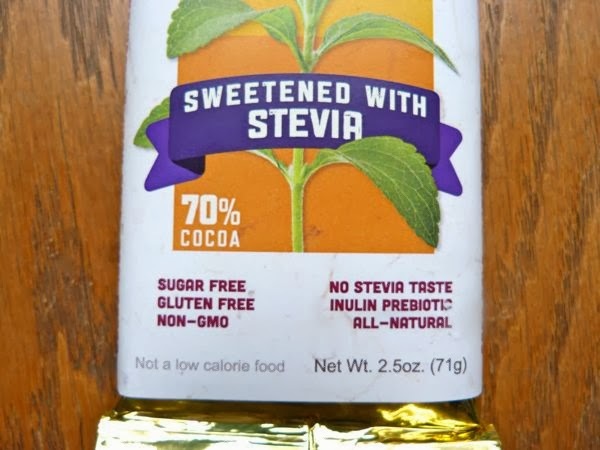 However, both the sugar-free (stevia-sweetened*), gluten-free and GMO-free bars were better tasting than many sugar-free, or stevia-sweetened bars that have been sold in the past. 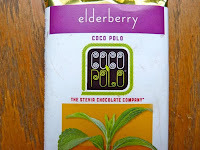 The natural tasting elderberry smell and taste reminded me of berry jam or wine, and perked up today's dark chocolate a bit. 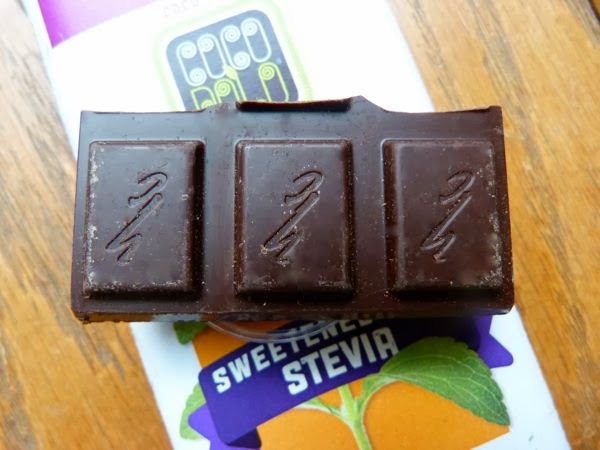 *Coco Polo founders developed a successful blend of Reb A extract from the stevia plant, Non-GMO erythritol, and inulin (extract of chicory root) to sweeten their bars. 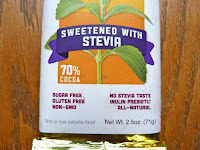 There was no "off" taste, no digestive issues, from what I could tell -- just a welcome alternative to sugar, without the blood sugar spike.